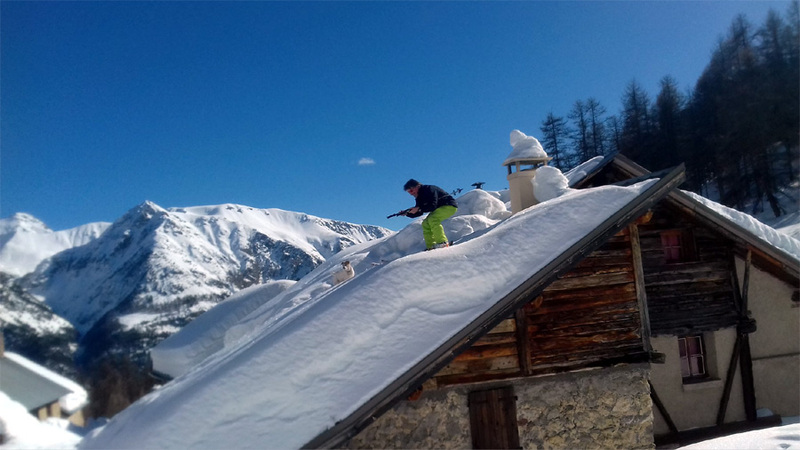 The Ski Blog 10th February 2018. There is still cold powder on north facing slopes. There are also a lot of ski tourers out there. So we found our own secret stash and, no, we're not shouting where it is from the roof tops.. There's not much powder to be had sidecountry any more so it's a question of where to go touring bearing in mind that all the obvious places will have been tracked? Basic requirement is north facing slopes. And somewhere away from the main roads. 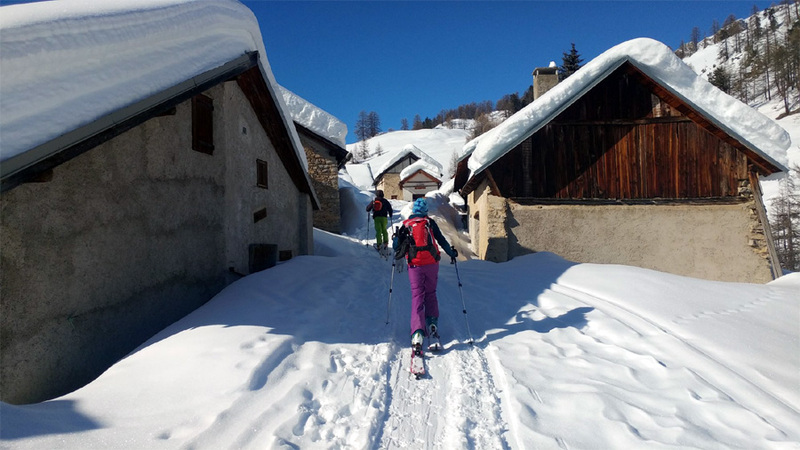 We headed to Nevache to a place where we've ski toured before but that's all I'm going to say because it's so off the beaten ski touring track that absolutely no one was there. And the powder untouched. So we'd like it to stay that way! 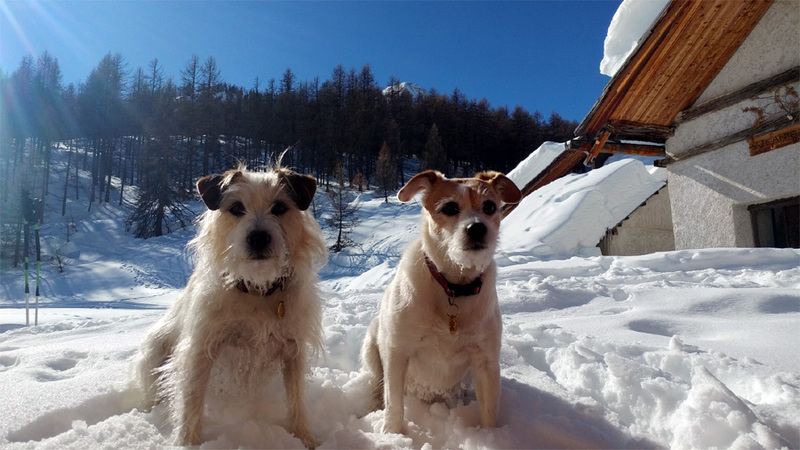 It's a long skin to a certain summer village around 500m up but with the sun out and the Rando Chiens sniffing out wild life it was a very pleasant hour and forty minutes. 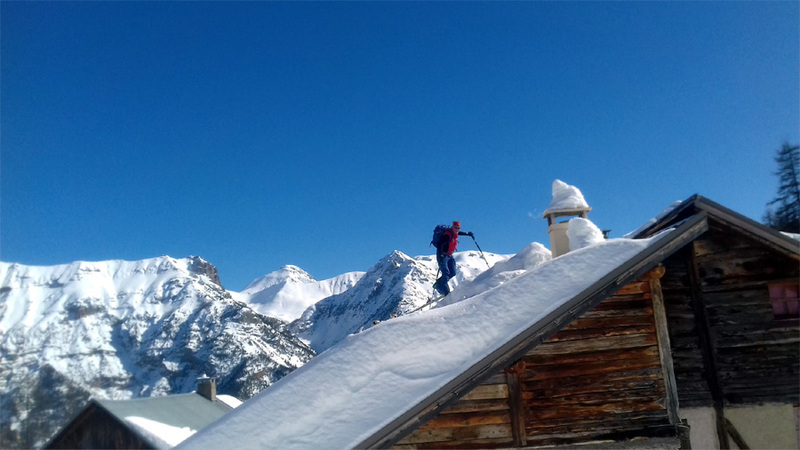 We stopped at the village for a snack and to mess around touring and 'skiing' on the snow laden roofs before climbing another 400m through the trees. So it was quite a hike but the snow was sublime! Cold powder and completely untracked. And the trees are perfectly spaced. Only hazard is a line of cliffs with one of two gullies to find for the way down. A total of 12.7km and 908m vertical. The Rando Chiens slept well last night.